I am getting ready for another year of commuting to work. Prepping my bike and getting all my gear ready. I started a new job this year at a location in Hull therefore, I will have to scope out a new route which is pretty exciting. My daughter Kristine and I plan on doing a test run in the next couple of weeks. There is something new to my gear this year, I am now wearing a Safety vest. 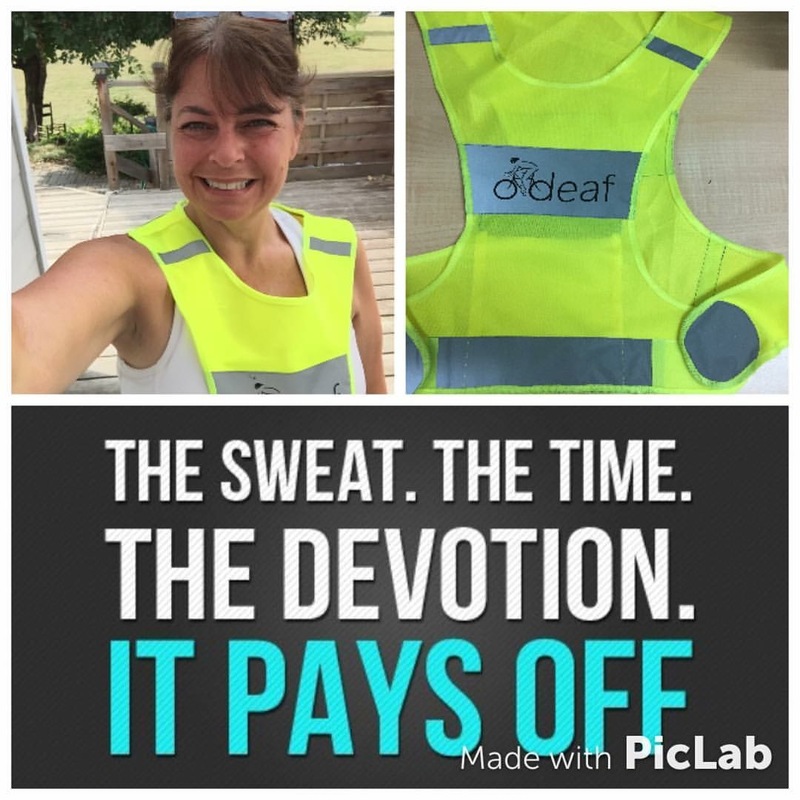 Late last summer I became an #ambassador for Safety Vest for the Deaf and Hard of Hearing. I met Colleen on a Twitter chat and we quickly hit it off. I was super intrigued in her vests and asked if I could be an ambassador and test it out here in Ottawa. I wear my Safety Vest every time I am out cycling. It helps alert people and drivers behind me that I am deaf and cannot hear them. Colleen Flok who designed and developed Safety Vests for the Deaf and Hard of Hearing explains here why she created this project (make sure you turn the captioning on as the video is in ASL). 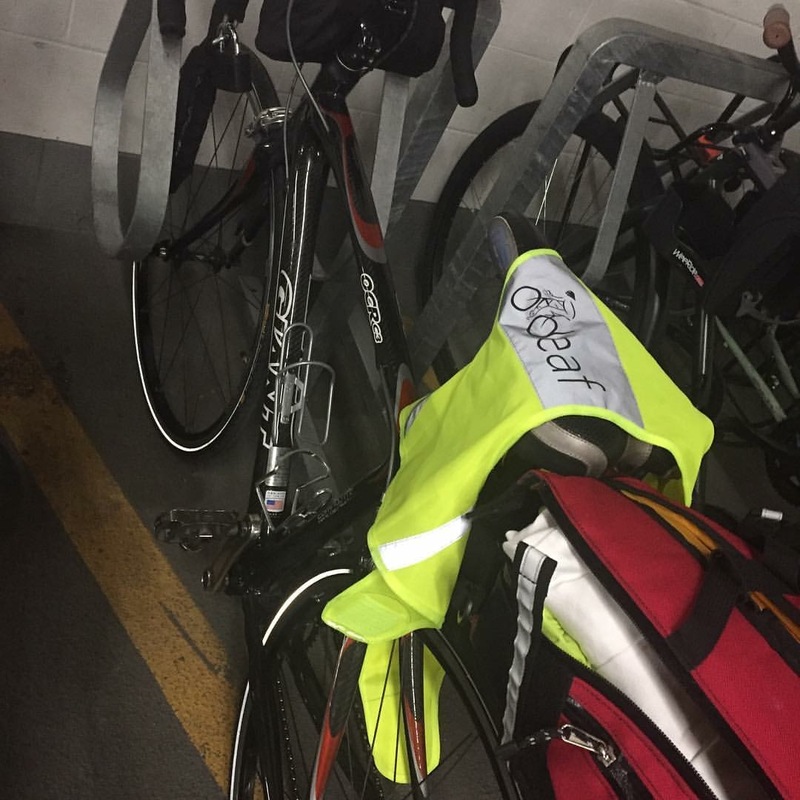 This entry was posted in Deafness, Everyday Life and tagged cycliing, Deaf, duvine, duvinestyle, hard of hearing, Safety Vest for the deaf and hard of hearing. Bookmark the permalink. 1 Response to Welcome Spring!